A Windswept and Horse Riding Bride! Major wedding envy alert!!! The scenery, the gorgeous couple, the horses... 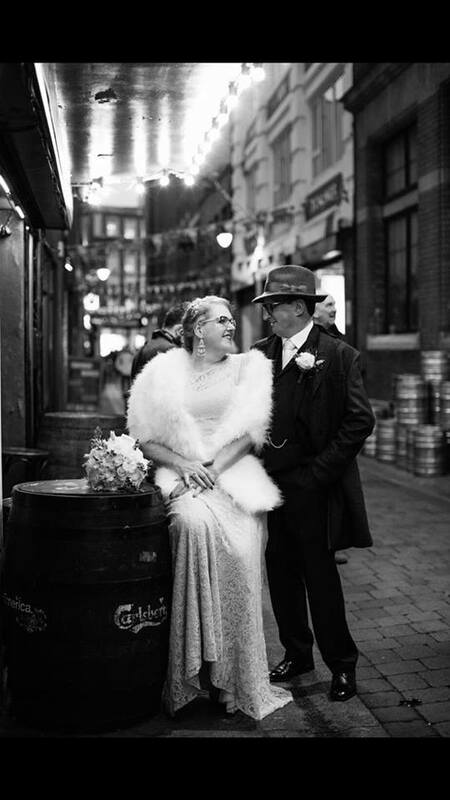 This is an actual real wedding, not an editorial, I kid you not! 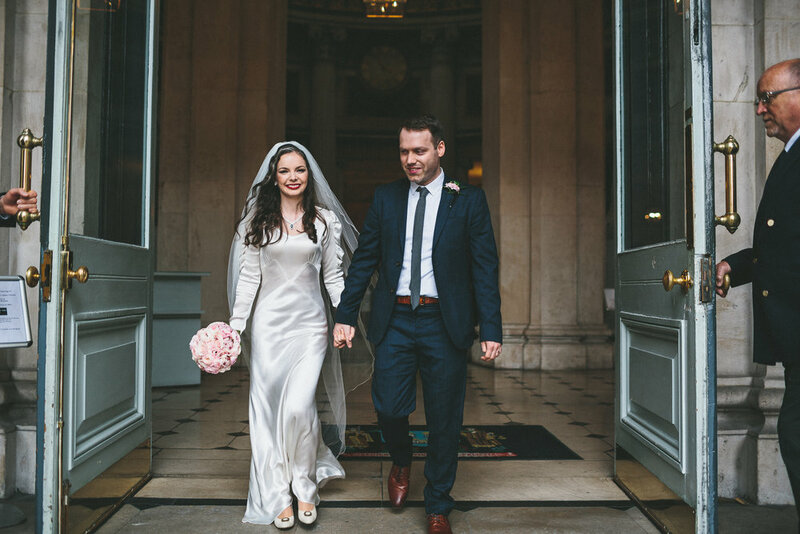 Andrea and Eoin’s big day is just so unbelievably stunning that it knocks the socks of all those Pinterest inspiration boards we drool over. 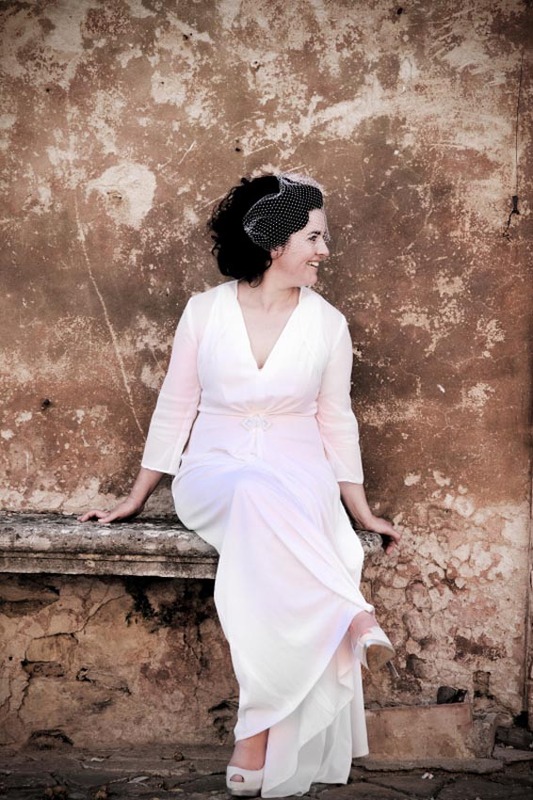 Best of all, the bride in question wore a Dirty Fabulous, vintage wedding dress. 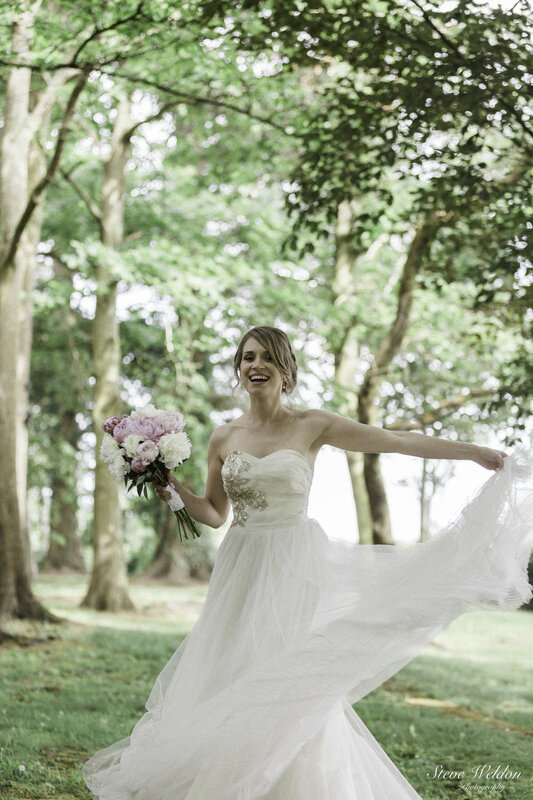 Irish beauty, Andrea came to us in search for a gown for her Canadian, destination wedding with the precursory request that she'd need to be able to ride a horse in it. 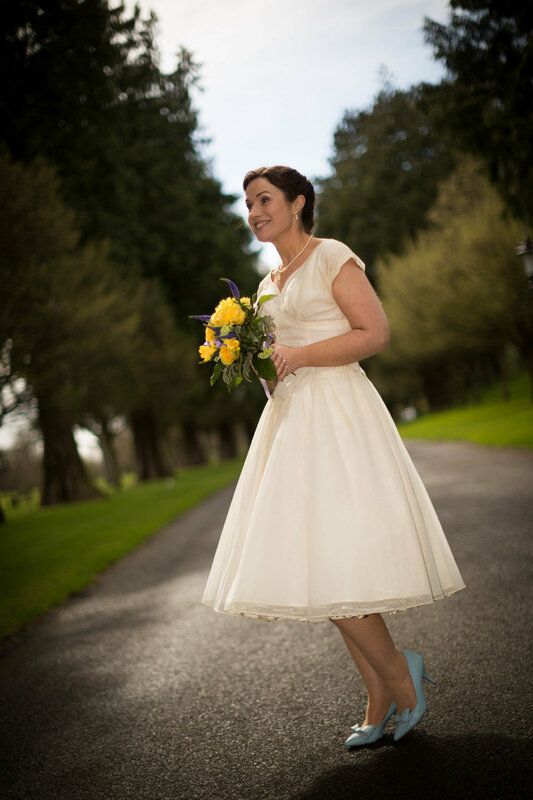 We were happy to oblige and helped Andrea choose a 1950's gown with daisy detailing that we knew would stand up to some strenuous action. The whole day was shot by amazing photographers Jelger and Tanja. Want to see more? Story Of Eve also created a beautiful wedding film for the couple. 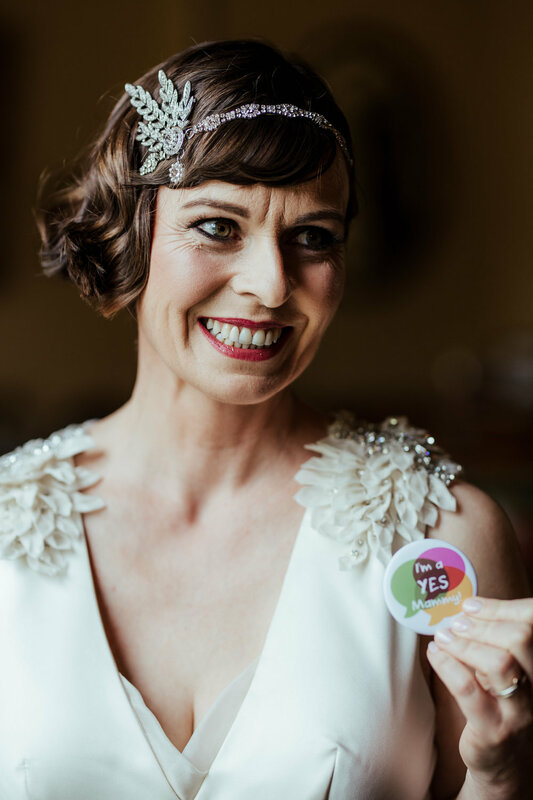 We practically jumped with joy when we saw Claire's photos arrived! 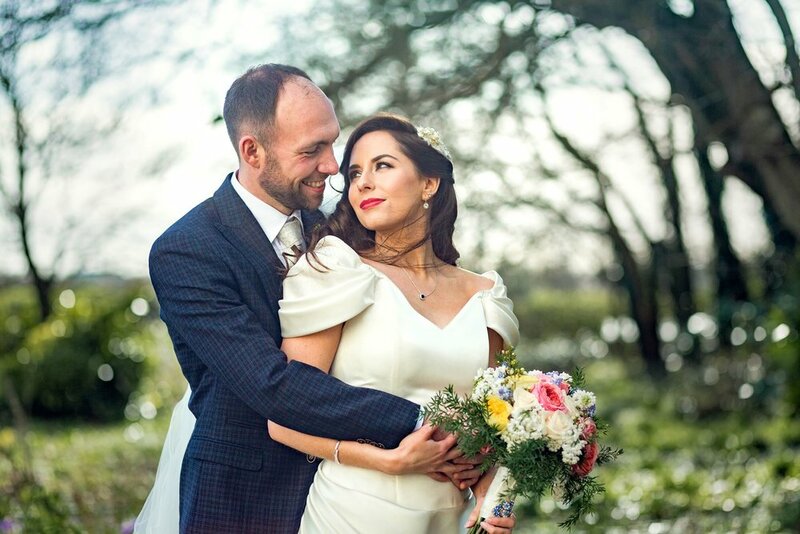 Caroline and I were in love with the ivory silk, caped, vintage wedding dress that Claire chose from us and we couldn't wait to see how special it looked on the day. 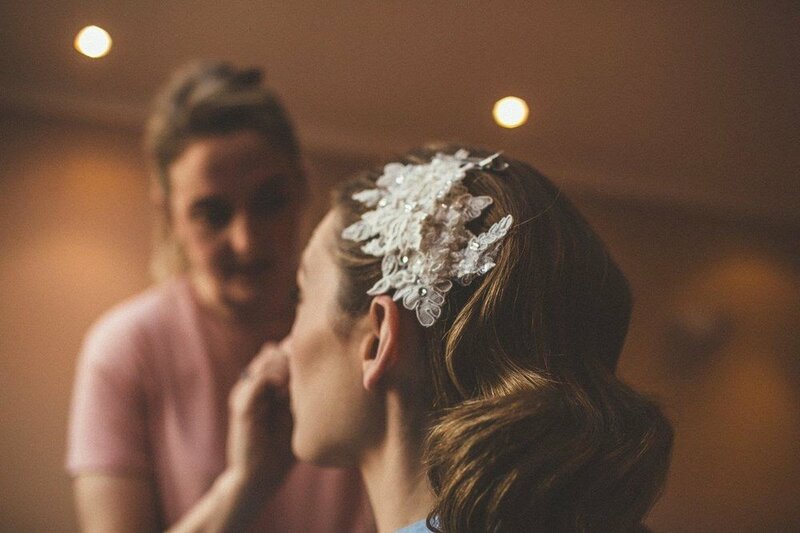 One of our bespoke feather headpieces was the perfect finishing touch. When Dirty Fabulous bride, Lais sent her wedding photos in, they were all so incredible it was hard to narrow down which ones to post! 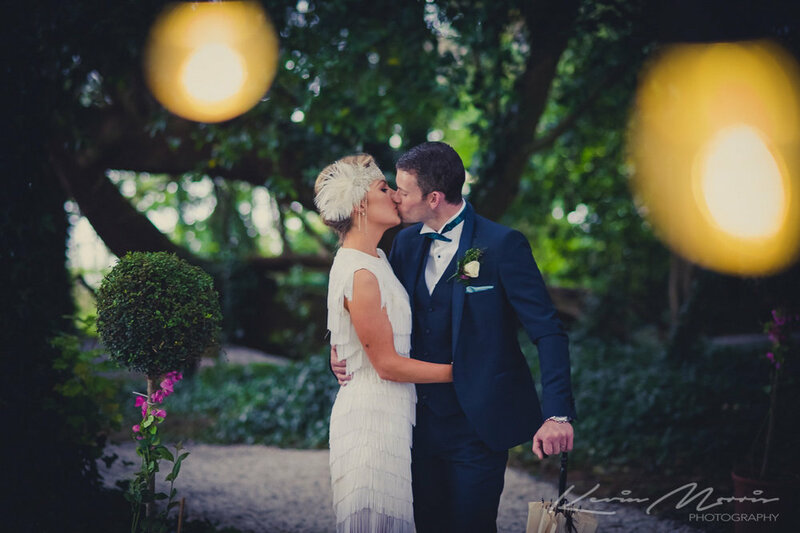 These are just a selection from what must be one of the most romantic weddings we've ever seen. 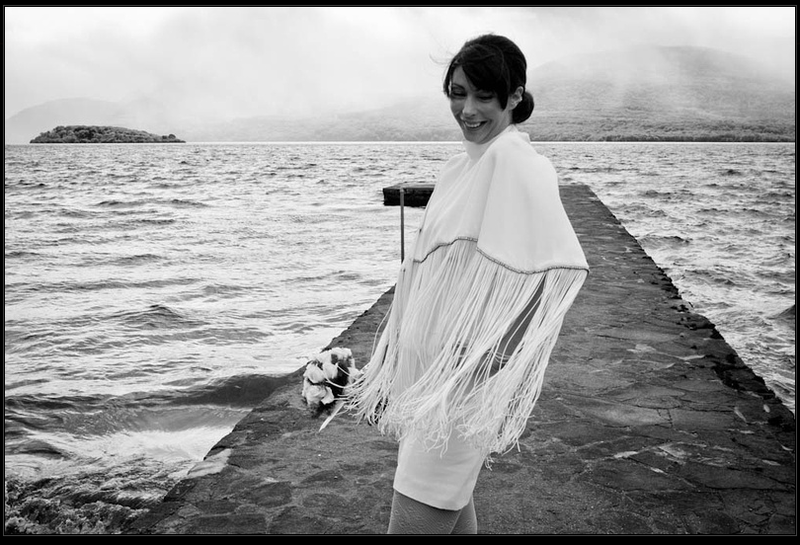 Lais and her hubby Patrick, chose to have an elopement in Glenveagh, Donegal. 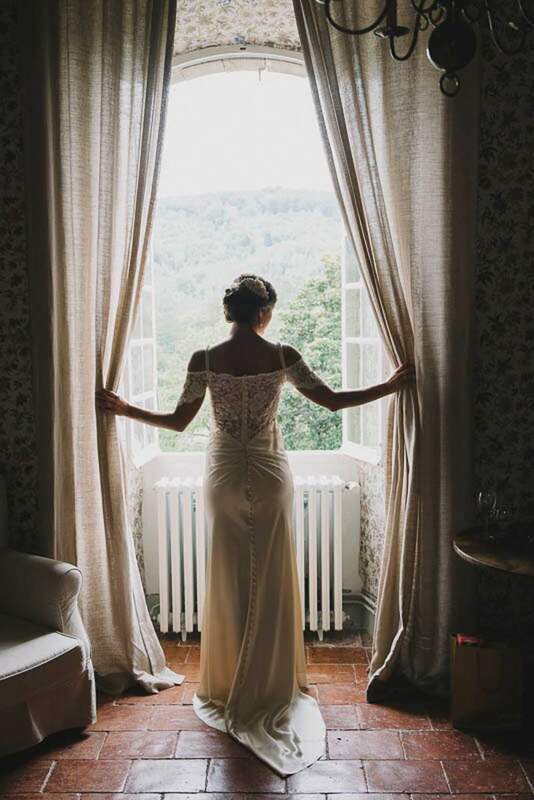 Apart from hair and make-up in the morning, the only person to spend the day with the couple was their amazing photographer from This Modern Love. 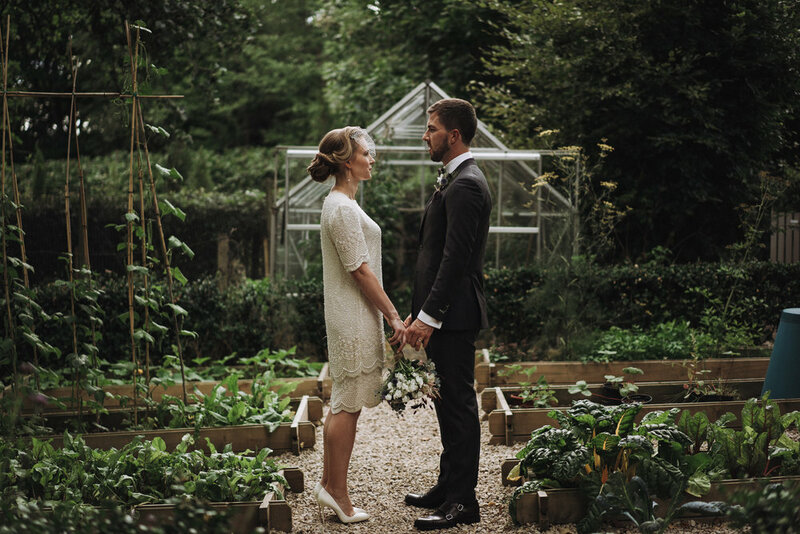 We think Lais looked mesmerising in her Dirty Fabulous 1960's lace wedding dress and veil. We also created a dramatic feather headpiece in peacock tones to match Lais's shoes for her to wear later in the day. It made a striking silhouette that we adored! 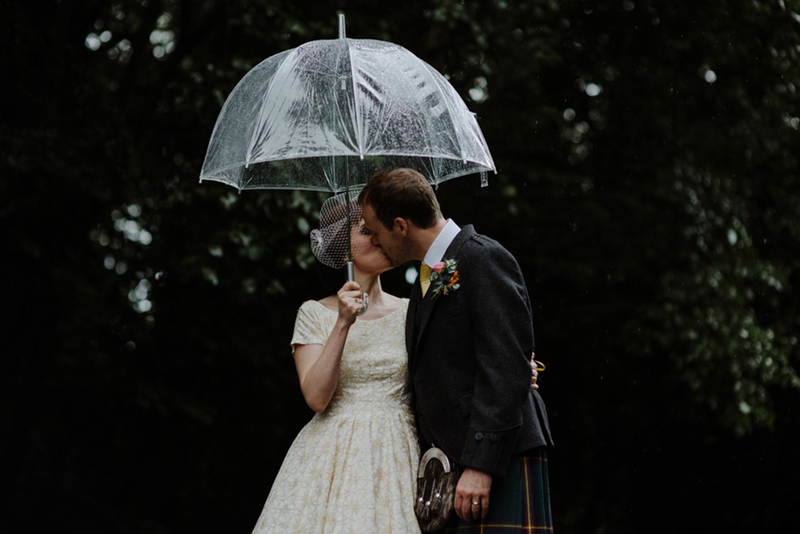 Their wedding also featured on One Fab Day so pop on over to feast your eyes on the whole incredible day! For her big day, pastel haired beauty, Kelly, chose one of our own designs: The Cat's Meow, from our Papermoon Bridal collection. She totally rocked her unique look, which had a modern twist on 1930's Old Hollywood glamour. 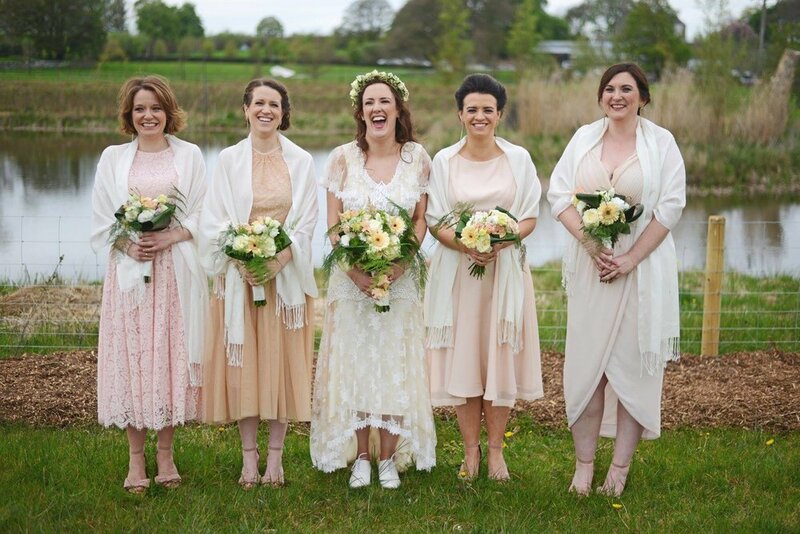 There's nothing we love more than seeing a bride staying true to her individual style for her wedding day and we're so proud that Kelly wore a Dirty Fabulous designed wedding dress! 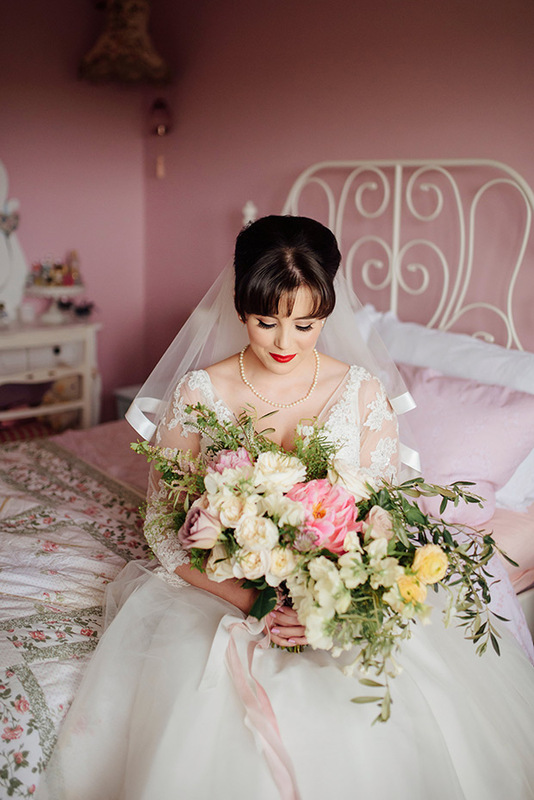 Thank you so much to Kelly for sending in her stunning pics by photographer Paula Gillespie. 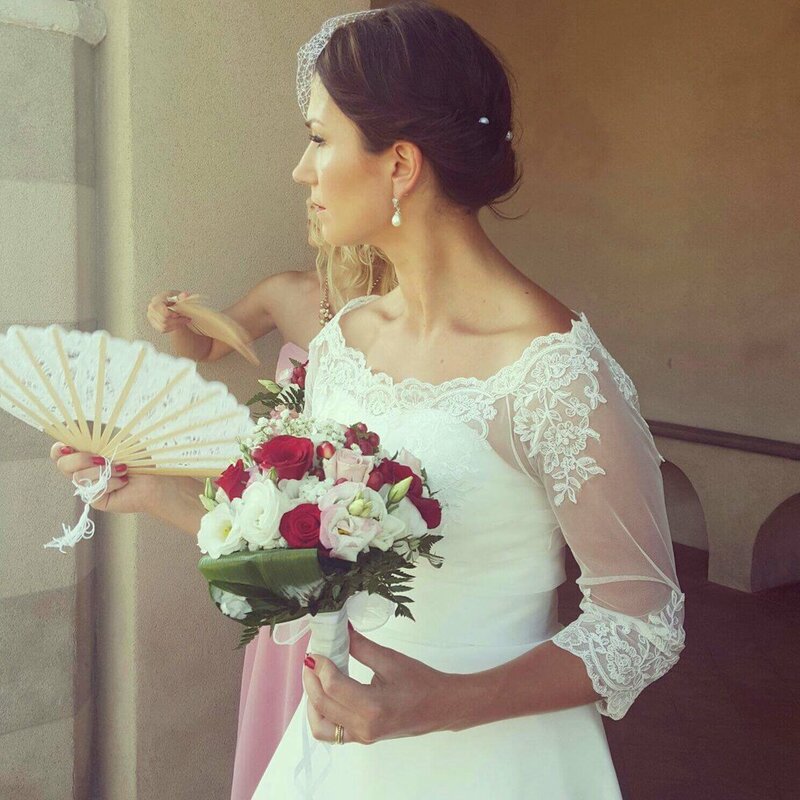 Check out Paula's instagram and Facebook pages to see even more fabulous photos! Edwardian wedding dresses are beautiful and quite rare but they are downright perfect for an alternative bride. 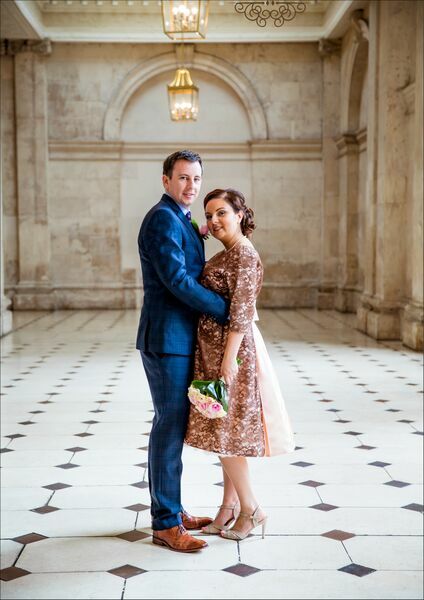 Gorgeous Dirty Fabulous bride, Marina, chose such a dress for her recent wedding to Frank that took place in Smock Alley. 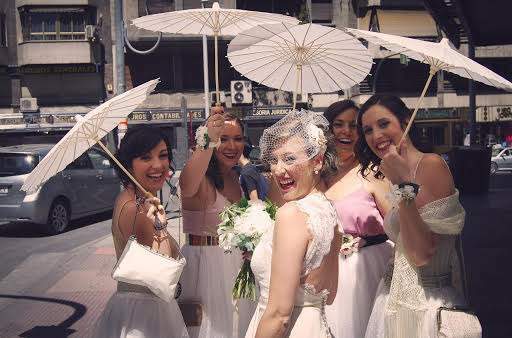 The wonderful pictures by Ivana Patarcic capture the relaxed vibe of the day, one that was filled with love and laughter. Both the bride and groom look pretty amazing and completely unique I might add! I loved how Marina paired her vintage dress with some cool Kate Spade brogues and that fabulous floral crown. We totally love her style! You can see even more photos here! You don’t have to wear white on your wedding day! We’ve had brides marry in blue, pink, green, red, navy, purple and even black! Muireann knew she wanted to wear something a little different that reflected her fun personality and style. We then set about customising a Vera Wang veil a friend had gifted her to match the beautiful 1950’s ochre tulle dress she chose. When vintage darling, and deputy editor of the bridal bible One Fab Day, plans her wedding, you know the results will be a visual dream!!! 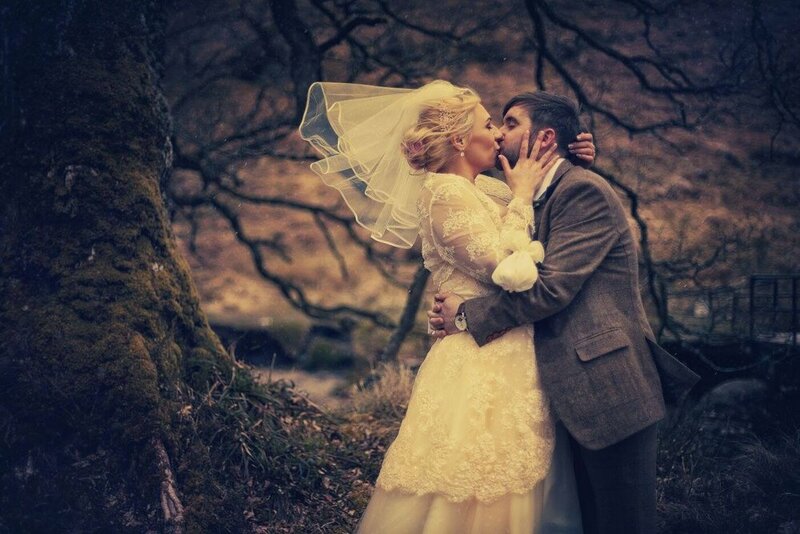 We were absolutely thrilled when Karen Louise chose her 1950's style, tulle and lace wedding dress from Dirty Fabulous. 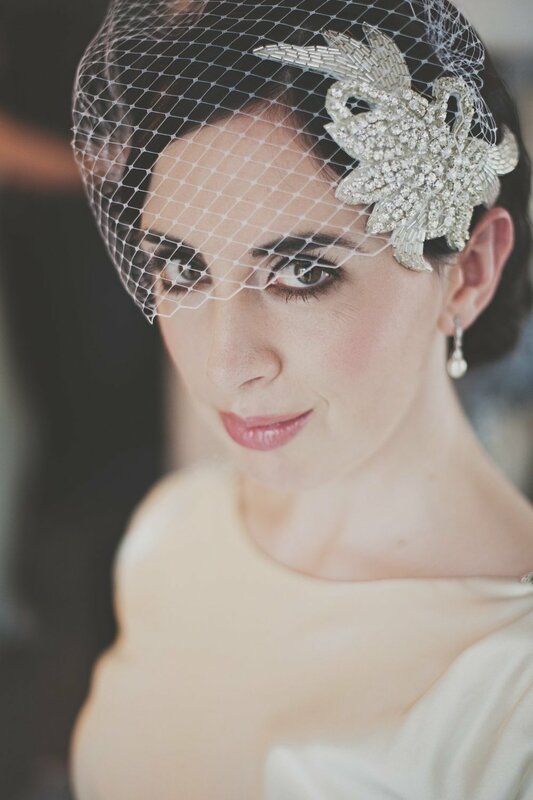 She paired it with one of our satin edge tulle veils and I think we can all agree she was a picture of vintage perfection! 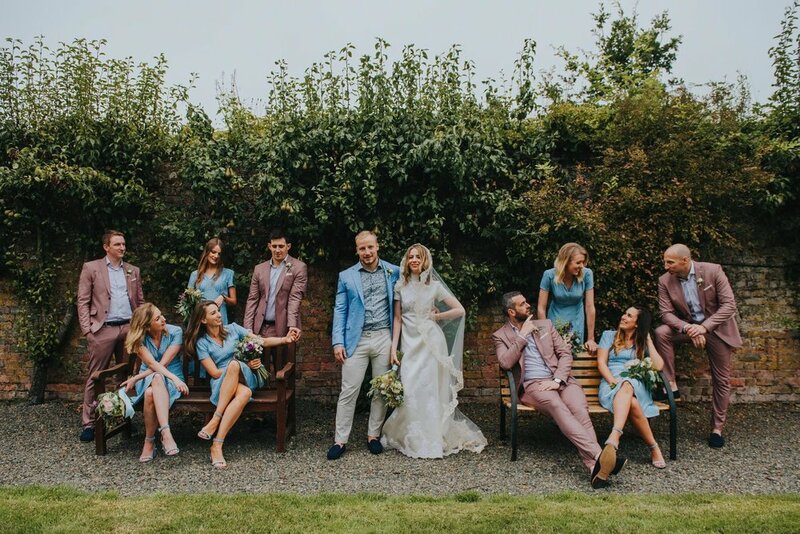 One Fab Day featured the wedding in full in two parts and you really have to check out part 1 and part 2 to see all of the beautiful details of this charming wedding. 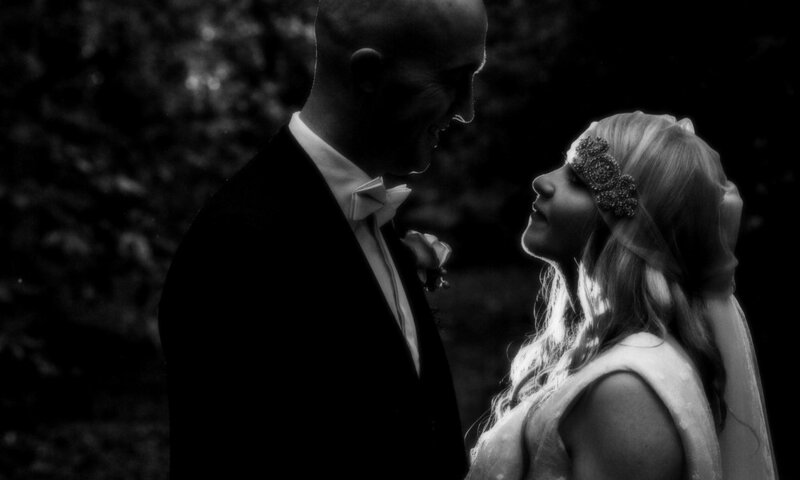 The photography by We Are The Lous is so special, I promise it'll make you swoon! 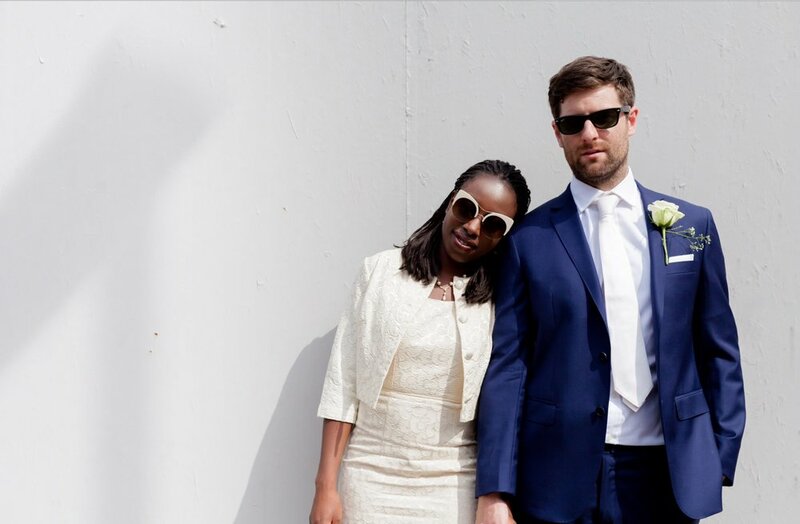 This wedding means a lot to us, so we're delighted to finally be able to share it with you. It's the wedding of our gorgeous cousin Rachel, and her hubby, Sean. 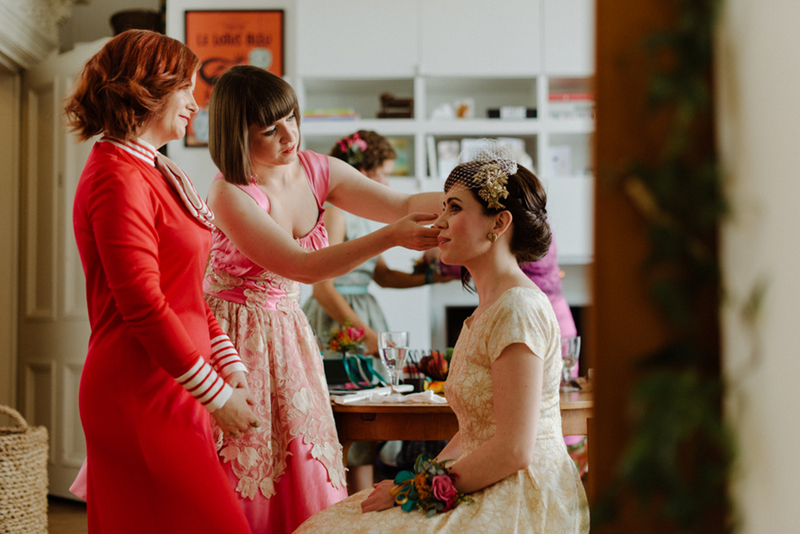 Rachel lives in Sydney, Australia but knew she wanted to wear a Dirty Fabulous vintage dress on her big day. We made it our mission to find the perfect outfit to suit her style and personality. Luckily, we're very close to Rachel, which made the long distance dress hunt a little easier. With a few of Rachel's requirements and her measurements we narrowed the choice down to two dresses which we sent out with her Mum who was going to visit her in Oz. 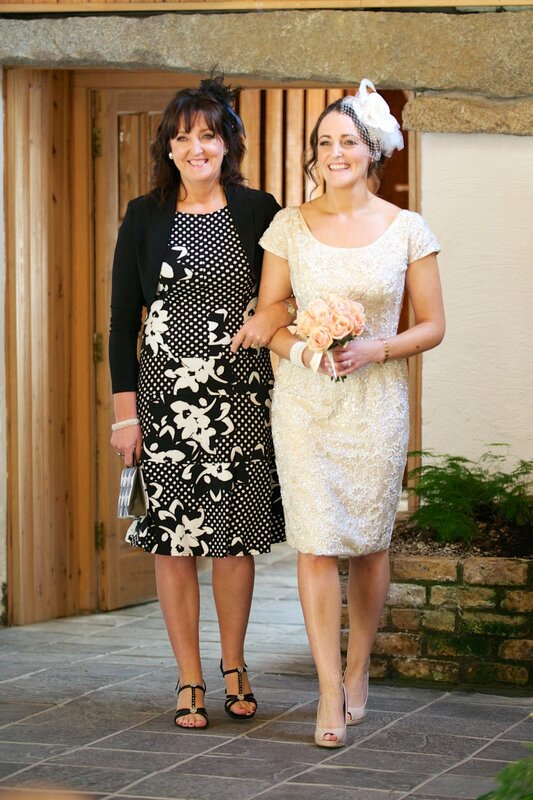 Rachel chose our favourite dress: a gold and cream embroidered 1950's dress by designer Suzy Perette! With the dress decided on we had a little bit of time to work on the accessories before her big day in Glasgow, the city Rachel and her Scottish hubby used to reside in. 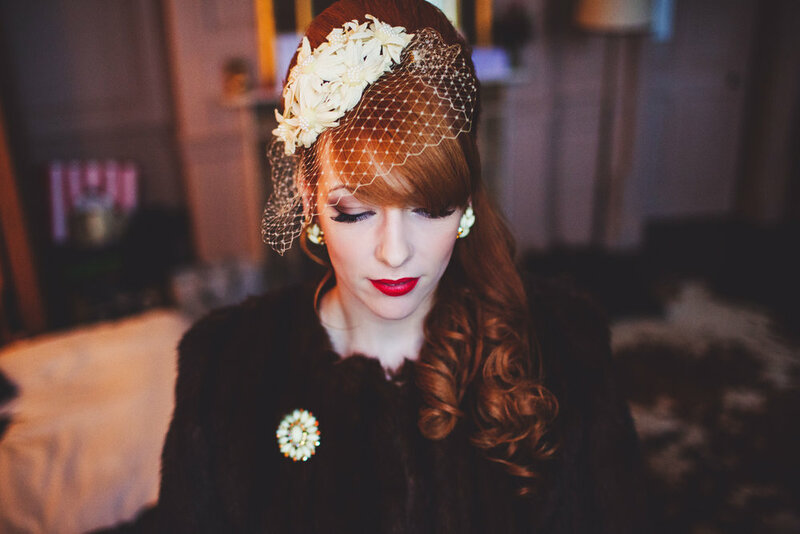 Caroline designed a golden, beaded headpiece to match Rachel's vintage dress and we paired it with a birdcage veil. A 1960's embroidered bag on heart shaped golden earrings completed the look. The day was a glorious riot of fun, music and love. We're so chuffed to have been a part of it!